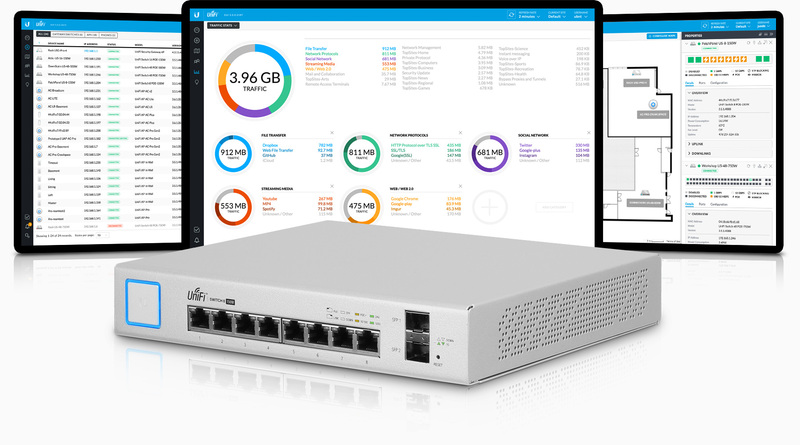 The UniFi® Switch delivers quiet yet powerful performance with its 10 independent switching ports. Sharing a total of 150W PoE, eight Gigabit Ethernet ports offer 802.3af/at PoE+ or 24V passive PoE, and two SFP ports offer optical connectivity. The included Mounting Accessories support any orientation wall-mount and desk/shelf mounting.